When the boys were younger I made it appoint to surround them with educational toys. I remember buying my eldest son Justin his very first Leapfrog toy, a LeapPad, and saw the excitement in his eyes. 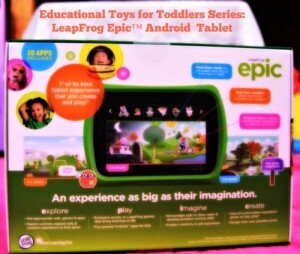 Today’s post is sponsored by LeapFrog and contains affiliate links. However, any opinions expressed by me come from having an honest experience with this brand. At the time, Matt was in college and money was super tight. But that didn’t matter because I just had to make sure that Justin had a LeapPad under the Christmas tree. So, I would watch the sales ads for LeapFrog Products like a hawk. Since Joy is home with me it’s even more important to create an environment of learning. Recently, I was blessed to be selected as a LeapFrog Mom Ambassador. As part of the program each month I will receive products, promotional items, and educational material to use as well as share with all of you. I am always downloading educational apps on my iPhone for her to play with, but sometimes her hogging up my phone gets a little irritating. 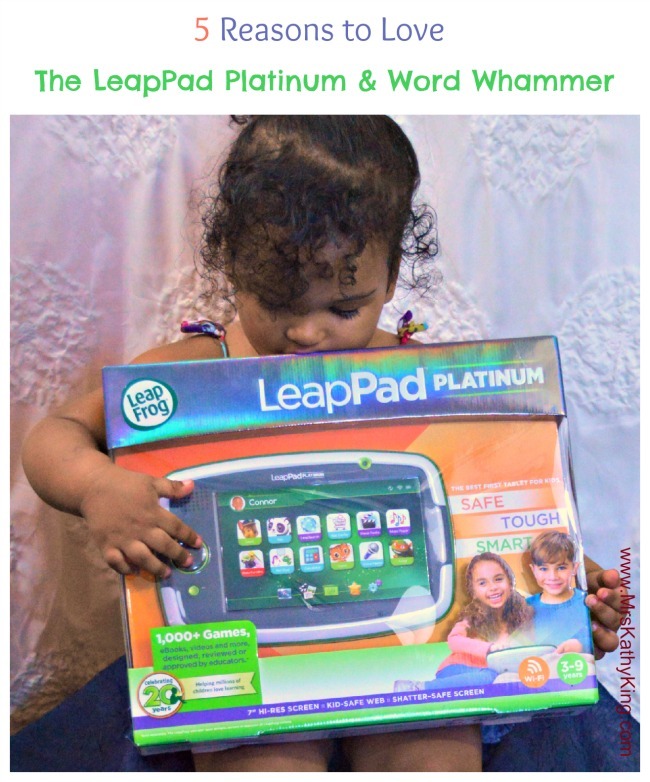 So it was refreshing when I received a LeapPad Platinum and Word Whammer in my first LeapFrog Mom Squad shipment. The LeapPad Platinum comes with 1 free app download, and there are 1,000+ games available for purchase and download. What’s more, games from LeapPad 1 and 2 work in Platinum! Therefore, you won’t lose past purchases when you upgrade, and your child will have some great games to play with, as they get used to the new model. LeapFrog Imagicards are interactive learning cards that bring learning to life via your child’s favorite characters as they have fun learning games. The cards are very easy to use. Your child simply aims the LeapPad Platinum’s rear camera at the card, and the system scans the photo to bring each character to life, while unlocking different game features. I am always worried about Joy losing pieces to games and toys I buy. So I appreciated that LeapFrog included an easy storage tin with each collection of cards, and there is a play mat included with each set making game play easier. You can also play off screen card games as well. Joy is a little too young to play with the Word Whammer on her own. But, It’s easy to use and I enjoy teaching her the ABC’s and their sounds with this very handy learning tool.